The Wildfire Prevention Assessment District (WPAD) in collaboration with the Oakland Fire Department (OFD) has produced a new and informative annual fire inspection flier for the 26,000 WPAD homeowners and residents within your Districts. The flyer includes useful information on how to implement firesafe practices around one’s home and provides all the steps necessary to pass OFD’s annual vegetation inspection process. Please see the informational flier here. This fact sheet is presented to you in response to various articles in the news relating to Oakland’s acceptance of FEMA grant funds. We would like to share information that helps clarify what has happened to date and what the next steps are. We think this opportunity is a valuable one that will lead to a better understanding of the overall process and opportunities to become involved in the future. 1. WHAT BROUGHT US TO THIS POINT? Between 1923 and 1992, 15 major wildfires occurred in the East Bay Hills of Alameda and Contra Costa Counties. These 15 fires burned approximately 9,000 acres, destroyed more than 3,500 homes, and killed 26 people. The devastating 1991 Oakland-Berkeley hills firestorm caused the death of 25 individuals and the destruction of 3,400 homes with an estimated $1.5 billion in damages. In 2006, the City of Oakland, the University of California at Berkeley, and East Bay Regional Park District applied for FEMA grant funding through the California Governor’s Office of Emergency Services to implement hazardous fire risk reduction projects in the hills. In 2010, FEMA, as the lead agency, initiated an environmental review process of the grant applications under the National Environmental Policy Act (NEPA) in collaboration with the U.S. Forest Service, National Park Service, U.S. Fish and Wildlife Service, National Marine Fisheries Service, Cal OES, UC Berkeley, City of Oakland, and EBRPD to develop a comprehensive fire risk reduction proposal which involved extensive public outreach and involvement. This process concluded with completion of a final Environmental Impact Statement (EIS) on December 5, 2014, and publication of a Record of Decision on March 5, 2015. FEMA’s EIS can be found at: http://ebheis.cdmims.com/Home.aspx. This review process resulted in a finding that the proposed project would have no significant negative impact on human health or wildlife. The severe and repetitive nature of wildfires in the East Bay Hills is one of the factors that has caused Cal Fire to rate large areas of the hills as a very high fire hazard severity zone. The close proximity of residential areas to open space areas susceptible to wildfires creates increased risk. One of the worst droughts in California’s history has increased wildfire risk significantly. Fire safety and protection is always important in our region, but now it is critical. 3. WHAT IS REQUIRED FROM OAKLAND BEFORE WORK FUNDED BY THE FEMA GRANT BEGINS? On June 2, 2015 (Resolution No. 85639), the Oakland City Council authorized the acceptance and appropriation of up to four million dollars in 2006 FEMA Pre-Disaster Mitigation Grant Funds. Of that amount, Oakland’s grant award is $2,648,490 and its local match requirement is $882,830. All local agencies, including the City of Oakland, are required to undergo state environmental review in addition to the federal Environmental Impact Statement, before using federal grant funds. Oakland is planning to develop a Vegetation Management Plan for comprehensively managing vegetation to reduce the risk of wildfire. As such, the City is required to conduct an environmental review under the California Environmental Quality Act (CEQA) of the Plan funded by the FEMA grant. Public input and review is a major element of this environmental review process. After the CEQA review process is completed, the Plan and the work funded by the FEMA grant will return to the City Council for its consideration for adoption and approval. The FEMA grant funding requires the development of mitigation and monitoring plans (MMPs). The MMPs will outline the mitigation, monitoring, and maintenance activities to be conducted over the 10-year duration of the project. Annual monitoring, with results submitted in a publicly available annual report to appropriate agencies, including USFWS, by March 31 of each year. This will protect the safety of endangered species in the project area and ensure compliance with federal law. Due to the complex nature of this process, the project will likely take several years to complete, during which the City will provide opportunities for public comment. 4. WHAT ACTION IS FUNDED BY THE FEMA GRANT? The environmentally preferred alternative selected in FEMA’s EIS involves removing fire-prone trees and vegetation to reduce wildfire hazard. Hazardous tree abatement and the selective thinning and removal of non-native trees prone to torching (movement of a surface fire up into the tops of trees, known to lead to active fire movement through tree canopy) specifically targeting fast-growing eucalyptus and Monterey pine. This is NOTclear-cutting, which the Natural Resources Defense Council (NRDC) defines as ”the felling and removing of all trees from a given tract of forest.” Rather, the proposed action funded by the FEMA grant consists of targeted removal of dangerous fire-prone species not native to the Bay Area. 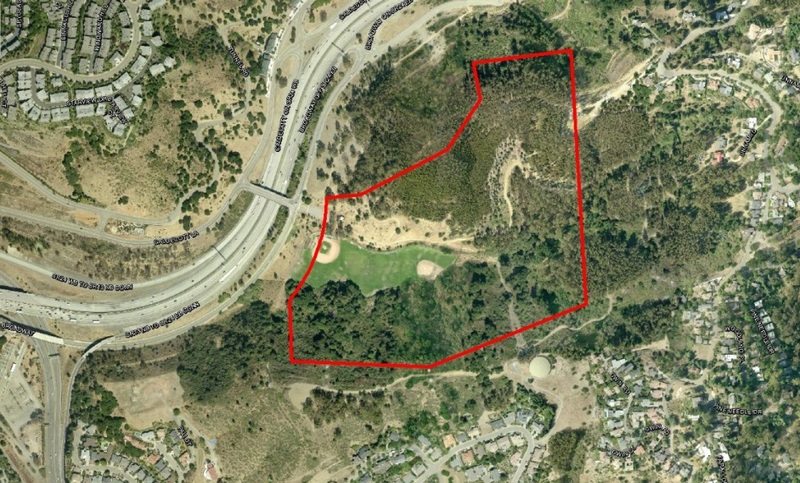 Two project areas are funded by the FEMA grant: 53.3 acres of the North Oakland Sports Field (see below) and 66.6 acres of the North Oakland Hills (see below). Preservation and spread of native vegetation including Oak trees, Bay Laurel trees and other native species, which provide habitat for protected species, and can thrive once the invasive flora are removed. In general, the most intensive work would be conducted from August through November to avoid impacts to migratory birds, federally listed species and other wildlife. The project specifically calls for a minimization of impacts on soil and water quality. Restricted herbicide application by a licensed State of California Qualified Applicator or by staff under their supervision and in accordance with rules identified to protect listed and sensitive species and aquatic areas. Herbicides would be applied to the non-native cut tree trunks by hand, with a paint brush-like tool to prevent re-sprouting. No spraying of herbicides is proposed by the City of Oakland. As required under CEQA, alternatives will be analyzed. Employment of best management practices identified by the San Francisco Bay Regional Water Quality Control Board to prevent erosion during and after vegetation management activities while the natural plant species are allowed to regrow and provide natural erosion-prevention. Substantial reduction of hazardous fire risk, avoiding at all costs repetitive suffering and damage. Provide a Vegetation Management plan which is cost-effective and both financially and environmentally sustainable. Benefit native wildlife species in the long-term by restoring, maintaining and enhancing the ecological value of native plant and wildlife habitats. 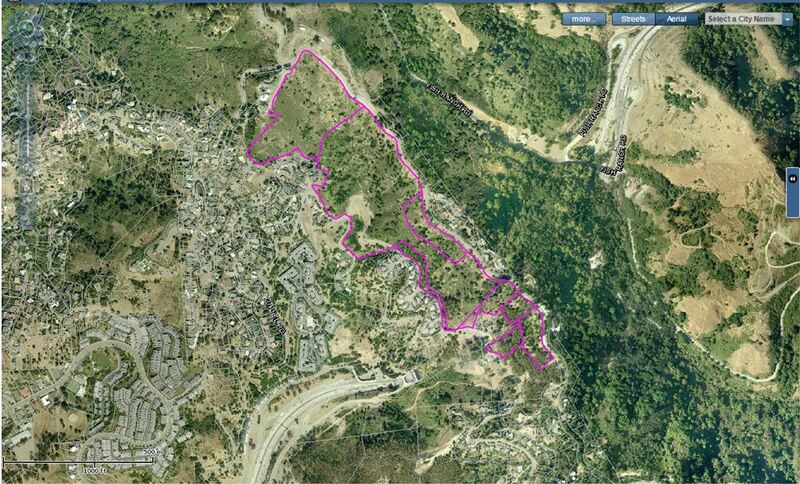 Restore and enhance the natural beauty of our Oakland hills. Provide space, water and light resources to the native vegetation. These essential resources are currently drained by water intensive non-native plants. Enhance soil quality for native species by removing acidic eucalyptus species. Fallen eucalyptus leaves decompose, make soil more acidic and other plants can’t grow there. In California, eucalyptus have been known to form a monoculture, devoid of other species. Conduct environmental review pursuant to CEQA for citywide Vegetation Management Plan, including FEMA and WPAD areas. This process will involve opportunities for public input. The process of implementing these deliverables is expected to take between 2-5 years. We hope this information has been useful. We respect and appreciate the passion from all sides on this very important issue. We will prepare an update as soon as we are able to provide more information. Please let us know if you would like to be added to our e-mail distribution to receive future updates about the FEMA grant. Thank you.